Power Poppy Power and Spark Challenge – Grab a Map! I don’t know about you, but I can color images without batting an eye, but designing card layouts is my downfall. I stare blankly at the image and shuffle through cardstock hoping that I’ll be struck by inspiration. When I get really desperate, I scroll through Pinterest, but usually I just end up overwhelmed and find that after hours of browsing (and pinning crockpot recipes), I still don’t have a solution to my design dilemma. So imagine my glee when I found out the Card Maps at Pagemaps.com! And for this month’s Power & Spark Challenge at Power Poppy, we’re asking you to “Grab A Map,” and get in on the fun! 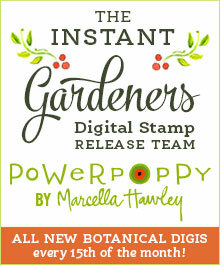 Power Poppy has teamed up with Pagemaps.com‘s CardMaps to showcase ten new sketches featuring some of Power Poppy’s fabulous stamp sets. You can find all ten sketches along with design team samples HERE! So grab a map, use it to spark a little card making creativity, and link your creation up HERE at the Power Poppy blog. If you play along, you’ll be in the running to win a $50 Shopping Spree to the Power Poppy Shop! Want to see MY card? Well, here it is: card map and finished card featuring the Power Poppy Folk Heart clear stamp set! But wait, there’s more! Becky Fleck, the fabulous Pagemaps guru, is also offering a $25 Power Poppy gift card and all you need to do is leave a comment on THIS post! The Pagemaps contest closes January 22nd, so hop on over soon! We can’t wait to see what you create. Below are the supplies I’ve used for today’s project. Items marked with an asterisk (*) were provided by a store or the manufacturer for free or at a discount. All other items were personally purchased. Read more. Next This Age Looks Good on You! Oh, Nancy, what a beautiful and sweet card! I LOVE your take on this sketch, and the image is perfect! Stunning coloring, as always, and I love the richness of your colors! Beautifully done! Warm hugs, sweet friend! Thank you Cheryl! All the team cards are fabulous! Beautiful card and perfect coloring! Love your interpretation of the sketch! So pretty! So sweet Nancy! Your totally captured a cheerful feel. Lovely card. I am in the process of making Valentines so this one caught my eye. I don’t usually make square cards but I think I will have to make one for this card map. Thanks for the beautiful inspiration. Hey Marsha! Take a look at the first card HERE. You’ll see the same layout as an A2 card. Thanks for stopping by! OH, wow! that is so pretty! That folk art stamp set is perfect for this sketch – I’m hoping I picked that set up in my last order! I had my eye on that set for awhile so this just seemed the perfect opportunity to put it to use! Glad you enjoyed the card. Yes, you sure can color and you also used this map to make a marvelous card. Thanks for a beautiful card share AND for a heart-lifting chuckle. You described my Pinteredt browsing to a T! Between Facebook and Pinterest, it’s a surprise that I get anything done! Totally made me smile. Fresh colors and such a sweet little birdie! This card is just adorable! Love your bright, rich colors and your coloring is fabulous! Great card.